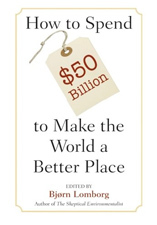 This book is a unique guide to making the world a better place. 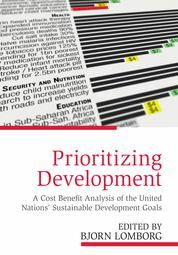 Experts apply a critical eye to the United Nations' Sustainable Development agenda, also known as the Global Goals, which will affect the flow of $2.5 trillion of development aid up until 2030. 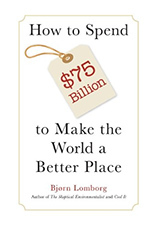 Renowned economists, led by Bjorn Lomborg, determine what pursuing different targets will cost and achieve in social, environmental and economic benefits. There are 169 targets, covering every area of international development - from health to education, sanitation to conflict. Together, these analyses make the case for prioritizing the most effective development investments. A panel of Nobel Laureate economists identify a set of 19 phenomenal development targets, and argue that this would achieve as much as quadrupling the global aid budget. If you were in the fortunate position of being able to direct how a large sum of money was spent to improve Haiti’s wellbeing and prosperity, what would you do? Maybe you would focus on improving education? Research shows that this improves a nation’s health and economy for generations. Or maybe your top concern would be healthcare, or water and sanitation? There are obviously many other issues like infrastructure, or disaster preparedness. Moreover, what should you do within these broad areas? Within education, should you first focus on higher education or pre-school? Should your first health focus be immunization or diabetes? Should disaster preparedness include some sort of armed forces to replace the United Nations Stabilization Mission in Haiti (MINUSTAH)? When anybody tries to answer this question, all of us encounter the same problem: there is little information on the cost of such interventions and even less on the benefits. 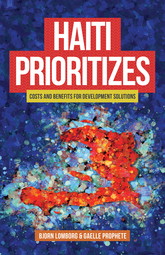 This book is the result of our collaboration with more than 700 economists, experts, and researchers from Haiti and around the world, spanning sectors like education, governance, health, nutrition, infrastructure and so many more, to identify and shift attention to the best policies for Haiti, giving its citizens a better chance at a more prosperous future. Since resources are limited everywhere, we believe economic prioritization should be included in any serious debate about policy planning and decision-making for every country, not just Haiti. Each of these short chapters was written in the first instance as a newspaper article and published in one of Haiti’s leading newspapers, Le Nouvelliste or Le National. They have now been edited and refined for this book. The 7th Five Year Plan (2016 – 2020) and Vision 2021 are aimed at helping Bangladesh attain the status of middle income country by 2021. Bangladesh has performed remarkably well in the achievement of MDGs but significant challenges remain in terms of governance challenges, reducing poverty, eliminating malnutrition and promoting improved healthcare system, and promoting improved healthcare system, and doing all this while protecting the environment. “Bangladesh Priorities,” a research collaboration between BRAC and Copenhagen Consensus Center, has identified Bangladesh’s most pressing problems and also the smartest solution to combat them. Volume 1 provides readers an opportunity to get in-depth with the research done by leading economists from around the world and Bangladesh. It offers the detailed cost-benefit research papers covering e-procurement to ensure transparency and effectiveness in government procurement system, bus transportation across Dhaka city and better livelihood in Dhaka city, a streamlined migration process through Union Digital Centers, construction of RMG Palli and RMG compliance, starting of flexible microfinance, use of village courts, implementation of Padma bridge project, development and dissemination of golden rice for eliminating malnutrition. This volume also mentions analysis of tacking early child marriage, climate changes effects, energy problems, maternal and neonatal mortality, and effective ways of dealing with diabetes. If you had BDT 250 billion to use for Bangladesh's future, how would you choose to spend it? That would alter the spending of roughly just ten percent of what the national government and international aid agencies combined spend in the country each year. It may sound like an infinite amount of money, but the more you spend, say, on education, the less you have to run hospitals, fight pollution, boost agricultural productivity or use on the multitude of other deserving areas. How do we know which issues we should tackle first, or where we should spend more or less? 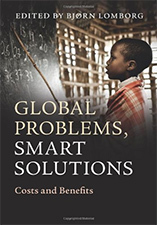 This book is about making the best use of limited financial resources by acquiring a better understanding of where to spend money, through the evidence of benefits and costs of a wide range of solutions as envisaged by the current five year plan. Covering areas from health to education, from sanitation to e-procurement, it sets out to show how much good a taka spent in different areas will do. Over the past 18 months, the Copenhagen Consensus Center has published 100+ peer-reviewed analyses from 82 of the world’s top economists and 44 sector experts along with many UN agencies and NGOs. These have established how effective 100+ targets would be in terms of value-for-money. These analyses take into account not just the economic, but also health, social and environmental benefits to the world. An Expert Panel including two Nobel Laureates has reviewed this research and identified 19 targets that represent the best value-for-money in development over the period 2016 to 2030, offering more than $15 back on every aid dollar invested. Reaching these global targets by 2030 will do more than $15 of good for every dollar spent. In 2000, the Millennium Development Goals set a few, highly effective targets for the world, e.g. halve the proportion of poor and hungry and reduce childhood mortality by two-thirds. The goals have been a huge success. Now, the UN and the world is to decide which new goals will take over in 2015. The UN s Open Working Group has proposed 169 targets. But we need to know which are most effective. Copenhagen Consensus has asked 60 teams of the world’s top economists to highlight phenomenal, good, fair and poor targets, weighing up the social, environmental and economic benefits and costs. The world will spend $2.5 trillion in development aid from 2015-2030, and these goals will influence a large part of that spending. Making just one target better can do hundreds of billions of dollars worth of good. Read the Foreign Affairs book review here. There are often blanket claims that the world is facing more problems than ever, but there is a lack of empirical data to show where things have deteriorated or in fact improved. 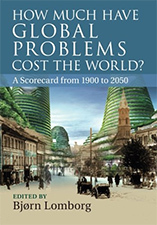 In this book, some of the world's leading economists discuss ten problems that have blighted human development. You can find Bjorn's TED-talk presenting the main findings, as well as all the research papers on the project website. Every four years since 2004, the Copenhagen Consensus Center has organized a high profile thought experiment on how a hypothetical extra $75 billion of development assistance might best be spent to solve twelve of the major crises facing the world. In this specially commissioned book, more than 50 experts prepared invesment cases presented to a Nobel Laureate Expert Panel at Copenhagen Consensus 2012 conference. New 2nd edition! The world faces myriad challenges - yet we are constrained by scarce resources. In the 21st Century, how do we tackle global warming, achieve better nutrition, educate children... and address countless global issues? By prioritizing the top solutions. Thirty years after the identification of the disease that became known as AIDS, humanitarian organizations warn that the fight against HIV/AIDS has slowed, amid a funding shortfall and donor fatigue. 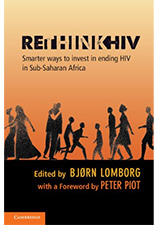 In this book, world-class specialist authors, Nobel Laureates, and African civil society leaders identify the most effective ways to tackle the pandemic across sub-Saharan Africa. The failure of the Copenhagen climate conference in December 2009 revealed major flaws in the way the world's policy makers have attempted to prevent dangerous levels of increases in global temperatures. 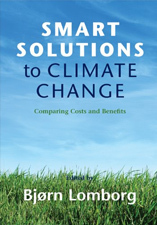 The expert authors in this specially commissioned collection focus on the likely costs and benefits of a very wide range of policy options. Many countries in Latin America and the Caribbean have achieved considerable economic growth, yet the region still faces many seemingly intractable problems. 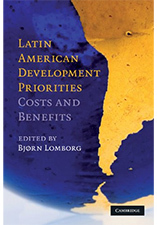 Latin American Development Priorities shows how limited resources could be used for the greatest benefit of the Latin American and Caribbean region. 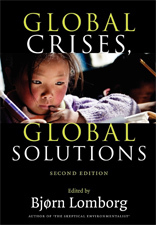 The first edition of Global Crises, Global Solutions was nominated as one of the books of the year by The Economist. This edition contains all new research produced for the second Copenhagen Consensus in 2008, where some of the world's top economists looked into different investment and policies for development. All to help answer: if we had more money to spend to help the world's poorest people, where could we spend it most effectively? 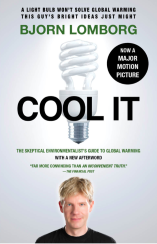 Cool It is a groundbreaking book that transforms the debate about global warming by offering a fresh perspective based on human needs as well as environmental concerns. Rather than starting with the most radical procedures, Lomborg argues that we should first focus our resources on more immediate concerns and asks why the debate over climate change has stifled rational dialogue and killed meaningful dissent. The world has many pressing problems. Thanks to the efforts of governments, NGOs, and individual activists there is no shortage of ideas for resolving them. However, even if all governments were willing to spend more money, we cannot do it all at once. 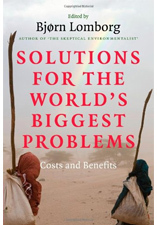 This book offers a rigorous overview of twenty-three of the world's biggest problems. 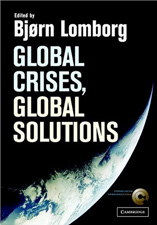 Edited by Bjorn Lomborg, this abridged version of the highly acclaimed Global Crises, Global Solutions provides a serious yet accessible springboard for debate and discussion on the world's most serious problems, and what we can do to solve them. A unique publication exploring the opportunities for addressing ten of the most serious challenges facing the world today. In a world fraught with problems and challenges, we need to gauge how to achieve the greatest good with our money. Global Crises, Global Solutions provides a rich set of arguments and data for prioritizing our response most effectively. In The Skeptical Environmentalist Bjørn Lomborg challenges widely held beliefs that the global environment is progressively getting worse. Using statistical information from internationally recognized research institutes, Lomborg systematically examines a range of major environmental issues and documents that the global environment has actually improved. This is one of the most valuable books on public policy - not merely on environmental policy - to have been written for the intelligent general reader in the past ten years. 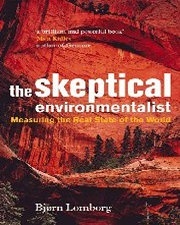 ...The Skeptical Environmentalist is a triumph.